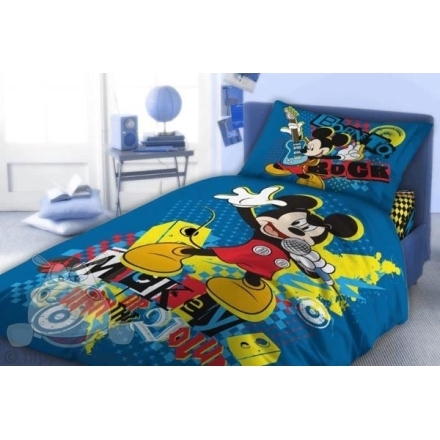 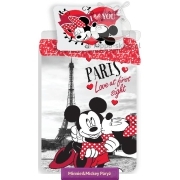 Bedding Mickey Mouse 06 with most popular character from Mickey Mouse Clubhouse animated series. 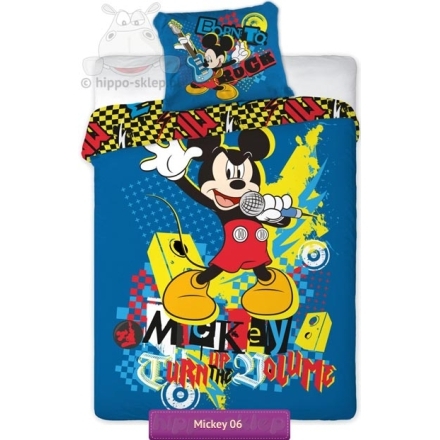 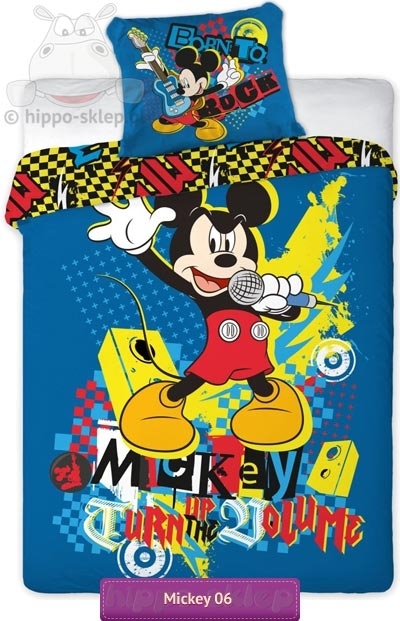 Kids bedding set with Mickey Mouse as a Rock Star. 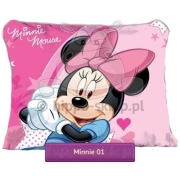 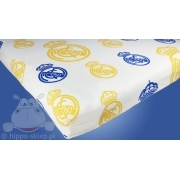 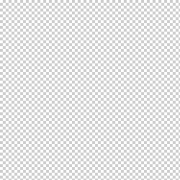 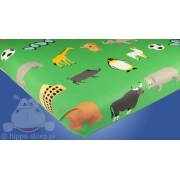 Quilt / duvet cover size 140x200 cm or 160x200 cm (55x78 inch or 63x78 inch) pillowcase size 70x80 cm (27x31 inch). 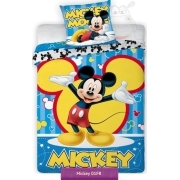 Kids Bedding set with Mickey Mouse made of 100% cotton, Oeko-tex standard 100 certified, closing by ZIP. 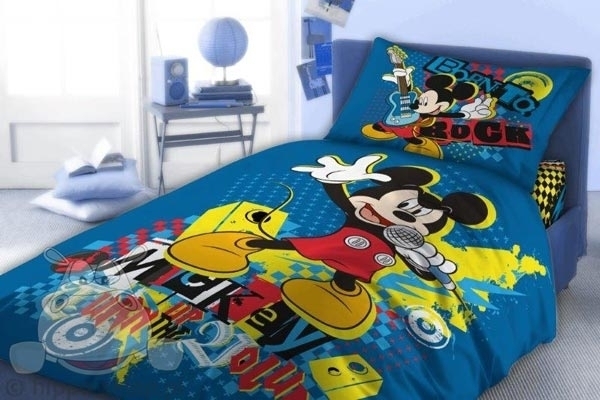 Best idea for beautify young boys and girls bedroom.